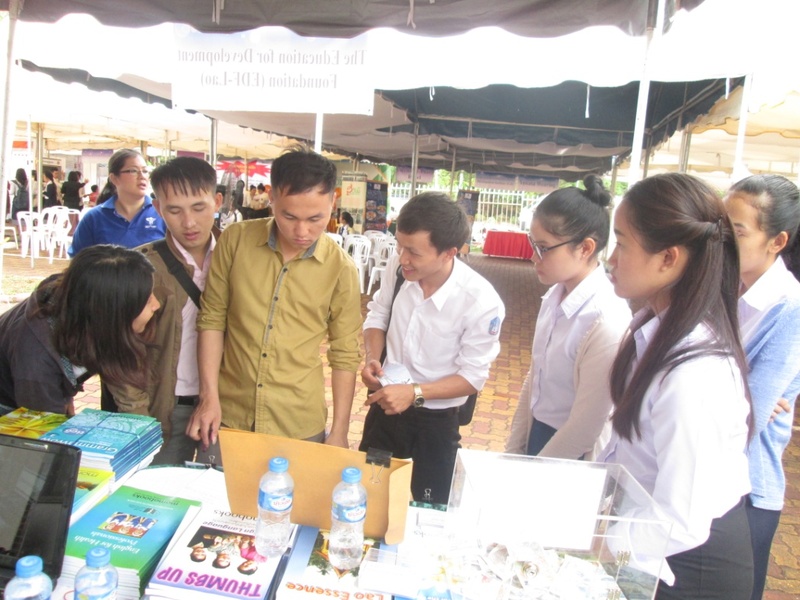 As students are getting ready to graduate or those who are considering a change of employment, EDF-Lao understands the difficulty of finding a job therefore EDF-Lao joined the Lao-Japan Job Fair along with 30 other companies and organizations on May 18th, 2016 located at the Lao-Japan Institute on the National University of Laos. EDF-Lao believe volunteer work gives students to get involved with new things and develop technical, social and academic skills that couldn’t be learn in a classroom setting. Volunteering allows one to experience different environments and situations and can help one get experience in their area of interest and meet people in the field. It gives them opportunities to test out a desired career path and practice important skills used in the workplace, such as teamwork, communication, problem solving, project planning, task management, and organization. One can be able to master these skills in a volunteer position and therefore be more comfortable using their skills in the work environment, other such skills may include improving your public speaking, communication, marketing skills etc…Volunteering also is an extra bonus to put on their resume. Volunteering is a gateway to the workforce for someone who is young and inexperienced and EDF-Lao wish to bring these opportunities to them. We had a successful turn out and signed up over 40 volunteers.